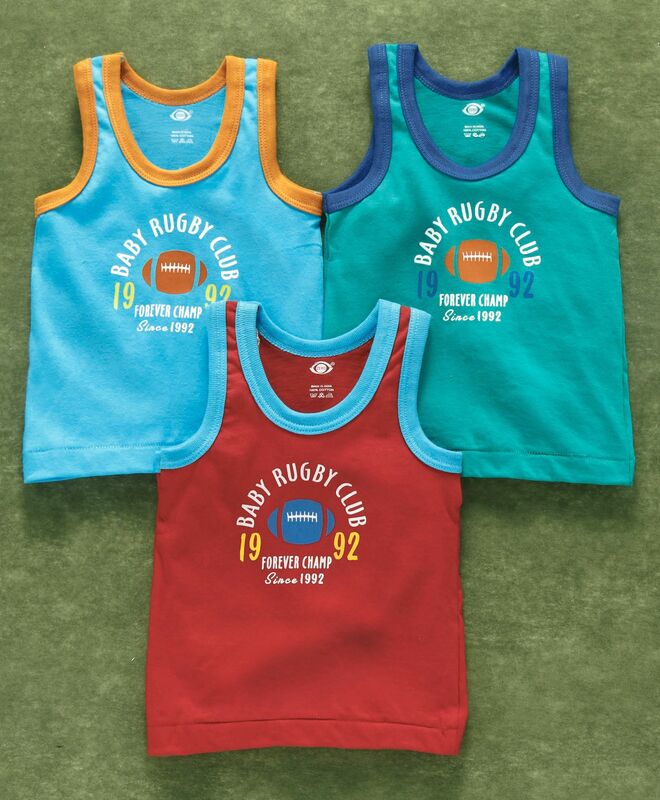 Zero presents this adorable set of 3 sleeveless vests for your little one. Trendy print on solid color base makes it look attractive. Easy pullover style of these vests helps in fuss free dressing. Kids will be comfortable all day long in the soft cotton fabric of these vests.